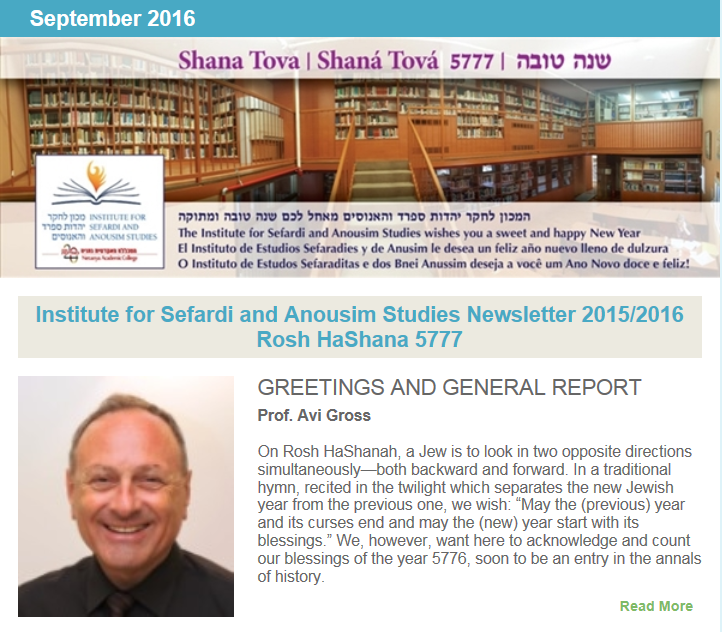 We invite you to read our Rosh HaShana 5777 – 2015/16 New Year Newsletter. In it you will find information about all of our activities during the past year, with a full report on our hugely successfull RECONNECTING 2016 conference in Miami, as well as information about our planned MUSEUM OF SEFARDI AND ANOUSIM HERITAGE here in Netanya, Israel. We wish you all a happy and healthy new year, and hope to see you at one of our events this coming year.